General Rubber’s expansion joints are built for even the most demanding applications faced by the marine industry. Our experience includes a long history of working with the U.S. Coast Guard and U.S. Navy to supply military-approved products. Our advanced design and engineering ensures continuous and reliable operation in even the most demanding applications. We have continuously supplied marine agencies with our performance products; our advanced materials and excellent engineering design result in products which meet military specs and can hold up to harsh marine conditions. 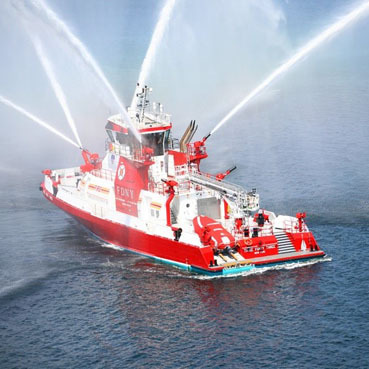 Please contact us for more information about our products and services, advanced materials, certification and compliance capabilities, or past marine experience—including our work on the FDNY Fireboat.